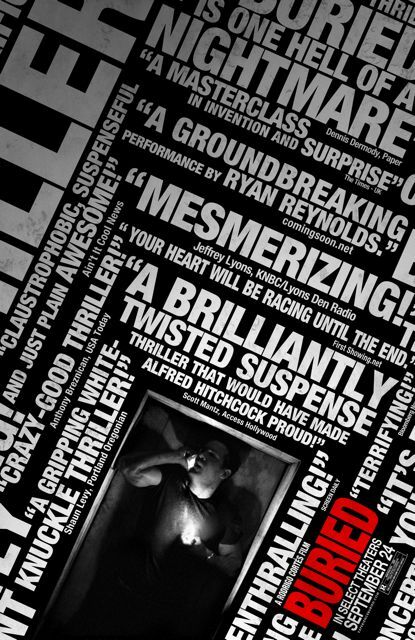 Buried is an expertly crafted and unsettlingly claustrophobic ninety-minute thriller with a twist – it’s set completely within the confines of a buried coffin. Paul (Ryan Reynolds) wakes up to find he’s been buried alive after his truck was ambushed while delivering goods to Coalition forces in Iraq. All he has is a foreign cell phone with poor reception, a lighter, a pencil and a flask of alcohol. What follows is Paul’s seemingly hopeless battle to escape from his increasingly suffocating tomb. A buried coffin serves as the only location in this compelling film. Director Rodrigo Cortes sets himself many limitations when bringing Chris Sparling’s taut script to the big screen. He never cuts away to the surface over the course of the film, and the only other characters apart from Paul are disembodied voices powerless or unwilling to help. Though Cortes is adamant that his film is not a political thriller, it’s hard to ignore the parallels between Paul’s situation and the military situation in Iraq, as well as the US government’s deceitful, commodity-driven actions. Buried plays on this feeling of alienation and successfully incites strong reactions from the audience when Paul’s desperate calls to American authorities continuously lead him nowhere. 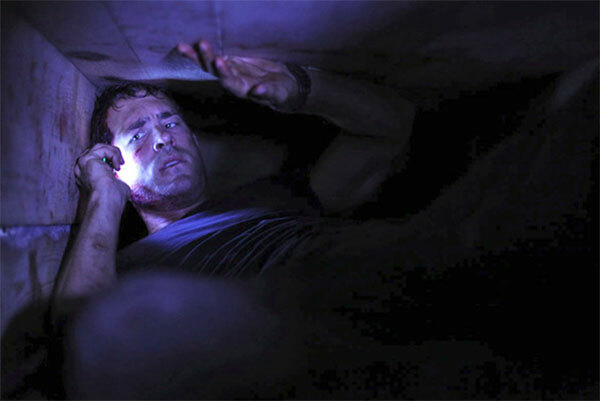 Cortes and Director of Photography Eduard Grau somehow manage to present a cinematic yet extremely cramped space. Every angle and possible camera maneuver is utilised and extreme close-ups of Reynolds seethe with the frustration and helplessness that both Paul and the audience are feeling. The richly textured sound design by James Munoz fills in the blanks in situations when the image simply cannot. It is refreshingly raw and unpolished, reflecting the circumstances of the story and heightening the realistic tension. 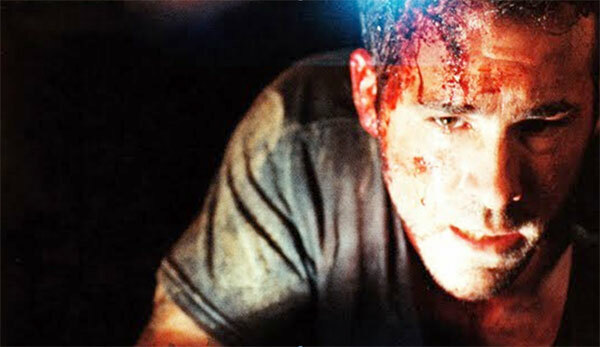 Ryan Reynolds delivers an unforgettable performance as Paul Conroy. The real revelation here is Ryan Reynolds. We all know he could act, but he really steps up to the challenge here – both physically and emotionally. His responses to each development are genuinely moving, whether he’s yelling down the phone at a clueless 911 Operator or leaving a heartfelt message for his wife and son. Over 17 shooting days he was subjected to these difficult conditions, performing long takes to allow for a more organic performance. He was also required to light the scene and pay attention to his movements and their influence on the clarity of his dialogue. All that hard work translates commendably in the character of Paul and makes his struggle even more harrowing. Buried is an unnerving homage to the Hitchcockian sensibility that seems to be lacking in contemporary thrillers – the kind of aesthetic that doesn’t rely on Hollywood convention to tell a story in a compelling way. Instead, Buried focuses only on core cinematic ingredients to tell a profoundly moving story about a man who refuses to give up despite serving an authority whose prime concern is not the preservation of human life, but rather the maintaining the stranglehold of power and wealth.